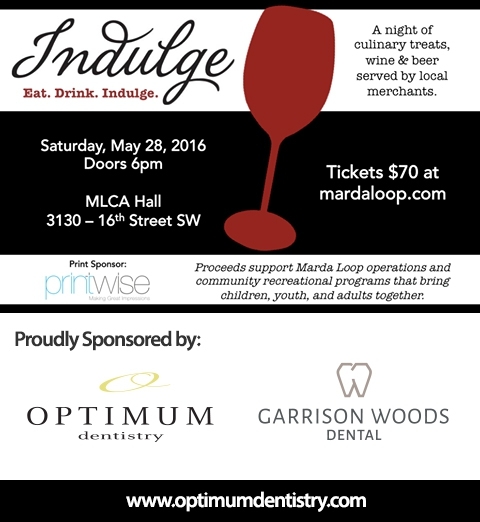 For more than 10 years, Dr. James Trofimuk has sponsored Indulge, a community event in Marda Loop. Indulge brings together local merchants for “a night of culinary treats, wine and beer” to raise funds for this growing community. The event’s proceeds go to support a variety of local community programs, events, operations and facilities, including children’s programs. This year’s event takes place on Saturday May 28, 2016, with doors opening at 6pm. Dr. Trofimuk has been a long-time sponsor and volunteer in the local community. It reflects his belief in giving back to those events and organizations that enrich the lives of those around him. This year’s Indulge event will include some new local businesses including Cob’s Bread, David’s Tea and Monogram Coffee, all of which have recently opened in the Marda Loop area. In addition to the newcomers, Dr. Trofimuk will be sponsoring alongside a strong showing of local vendors, including Big Rock Brewery, Fresh Kitchen, Highlander Wine & Spirits, Springbank Cheese Co., Original Joe’s, The Trop, Village Brewery, Phil and Sebastian’s coffee and Wild Rose Brewery. Optimum Dentistry & Garrison Woods Dental provides general dentistry services and is located at 3511 Garrison Gate SW Calgary, Alberta T2T 6E4.